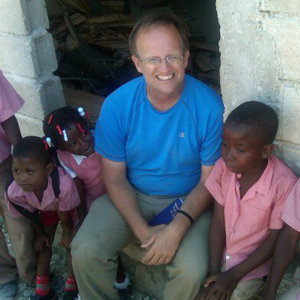 Based in Haiti, John Fitts is the Field Director of ministry operations in Haiti. After the earthquake, SCORE responded quickly with emergency relief. Now John has been privileged to serve as a missionary in Haiti for since March 1, 2010. God brought him to Haiti through a pastor and long-time friend to assist Score International with the Haitian relief efforts after a 7.0 earthquake struck on January 12, 2010. The team God has given him takes the gospel and humanitarian aid into the local communities. We use teaching English as a platform to share the gospel while helping people prepare for opportunity. These classes are held in various churches, schools and other locations. 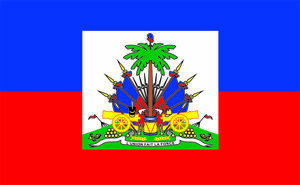 We would love for anyone to come and experience Haiti while helping us reach Haiti with the gospel of Jesus Christ. Our ministry in Haiti is supported by people like you who want to help the Body of Christ grow through evangelism and discipleship. You can join a team of supporters who pray over and fund the work to which God has called us. For a gift of $100, $200, or $500 per month, you can support teachers, staff, and security who carry on the mission of reaching every neighborhood in Port-Au-Prince with the Gospel.